I have been having fun spinning striping boucles where I spin long stripes of wool blends, recycled soda bottle fiber, and other stuff. 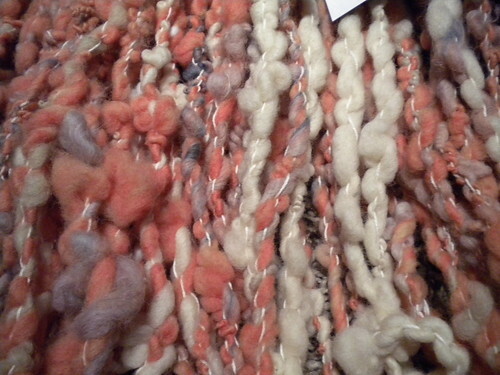 I ply it with cotton thread, then spin 2 plies of this together to make a boucle that is super super thick. The thinnest bits are still an inch across! 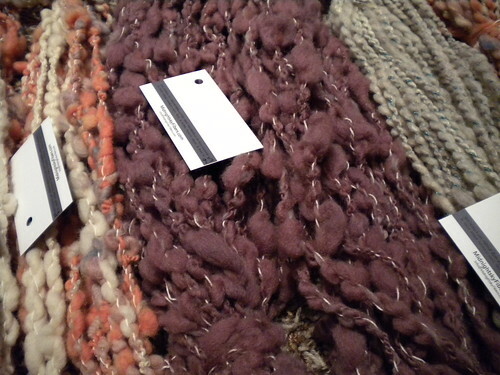 OK really, I am just obsessed with boucle. Especially the ultra thick boucles, which are surprisingly light for their thickness.